Let us dive into the magical world of Harry Potter. 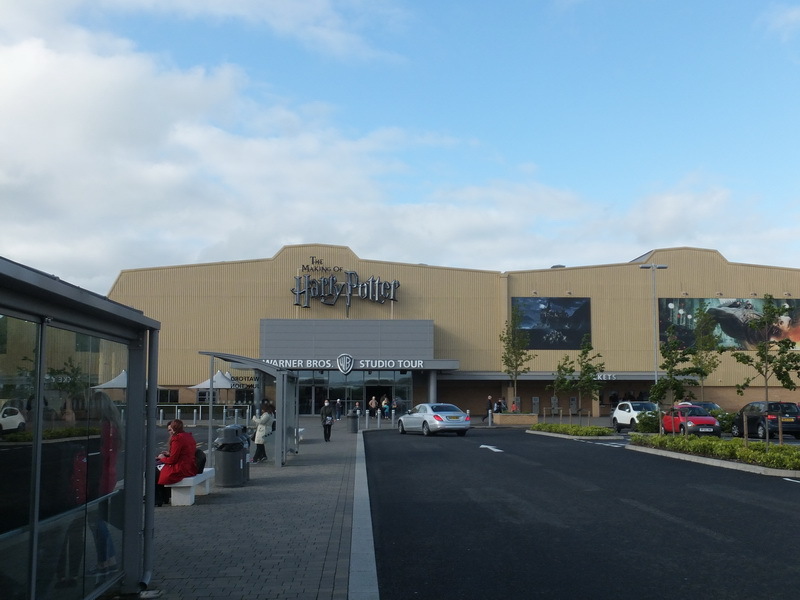 Not far from London are the Harry Potter Studios and they are an absolute must for every Potter fan! The Warner Brother Studio Tours are a great experience, not only for fans. We bought our tickets from the website in advance. Time slots for the visits are stated on the tickets in order to keep the massive number of visitors under control. The studios are located a little outside of London, in Watford. They are easy to get to on a train. Train tickets can be bought at ticket machines. 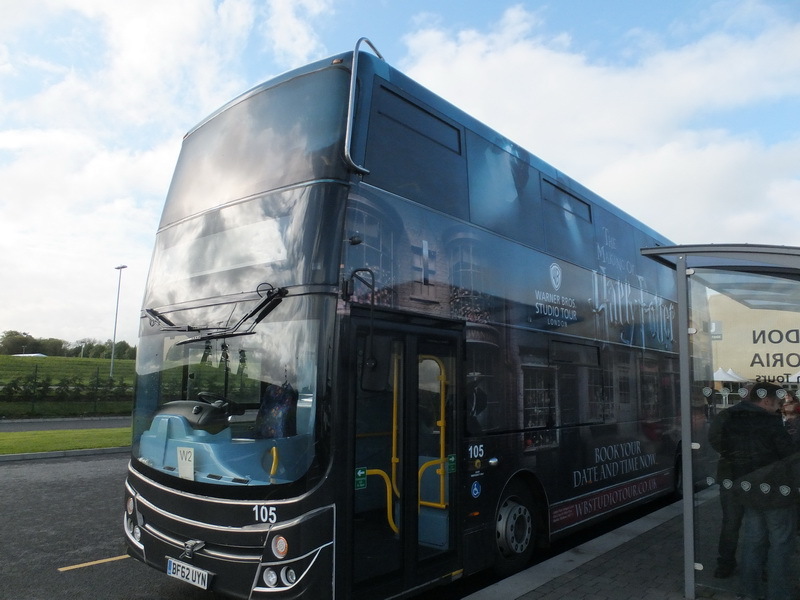 A shuttle transports the visitors from the station to the Harry Potter Studios. After getting off the shuttle, visitors wait in the entrance hall for their time slots. The shop can be visited in the meantime, which considerably shortens the waiting time. We booked a German audioguide together with our tickets. The audioguide offered information and stories from the set of the movies throughout the tour. After a short welcome visitors make their way into the Great Hall, which also served as the dining hall in the movies. Visitors walk through the actual set and all that is missing are the Hogwarts students. Here, a guide shares more information about the making of the films. Then a door opens and the tour makes its way to the prop and wardrobe storage. That’s where visitors fully depend on the little signs next to the countless exhibits or their audio guides. Take your time! In every corner something that was used in the movies can be discovered. Whole film sets remain unchanged in the giant rooms. The boy’s dormitory, Dumbledor’s office or Hagrid’s hut – they can all be visited. Pay attention to the magical details, for example the self-knitting needles. In the outdoor area are some parts of the Muggle world. Harry’s Muggle home and many of the Muggle artefacts that wizards use make up a part of the exhibition. Diagon Alley was a highlight of the tour for us. This little shopping street is so realistic, so inviting, that all you want to do is to start shopping. Many shops can be visited, also the Weasley Brother’s shop. But the absolute highlight of the tour was the gigantic model of Hogwarts. Sure, a castle like this has certainly never existed in reality. But honestly, we never thought much about where the scenes were shot. Now we know more! Using the model helped to create shots of the exterior of the castle for example as well as aerial shots and – with the help of computer animation – some shots in front and inside the caste. The modellers and builders of that model deserve credit. What a stunning model. Throughout the tour the lighting situation creates the illusion of the time of day changing and Hogwarts at night is particularly beautiful.